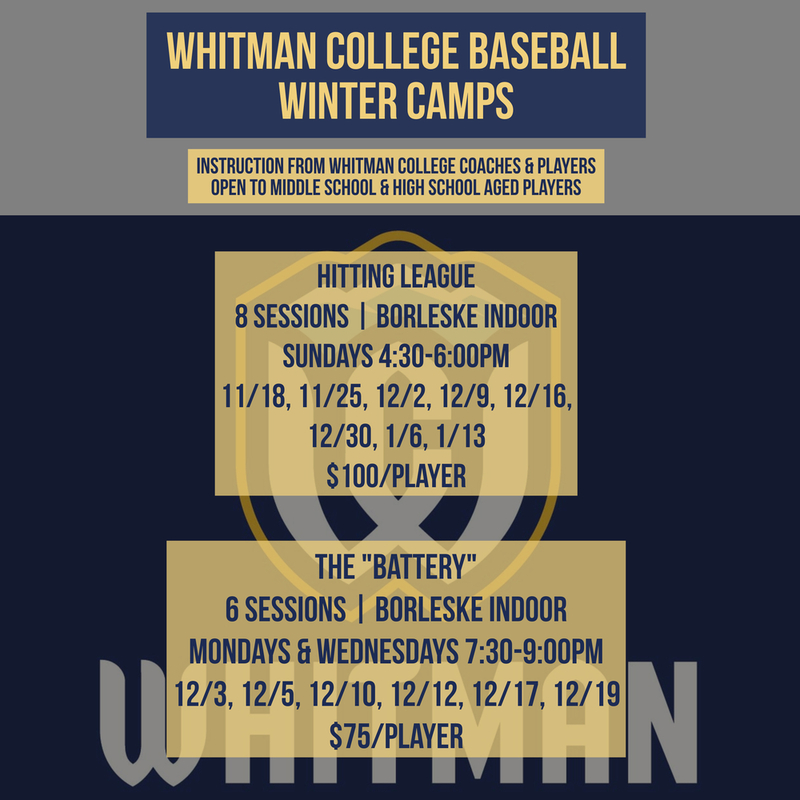 Whitman College is offering two great camps this winter that are open to middle school and high school players. This is a great opportunity for players in our valley to begin preparing for the upcoming season, receive instruction from our coaching staff, and access our indoor facility at Borleske Stadium during these winter months. The Hitting League begins this Sunday, November 18, and will offer 8 sessions for hitters to train and have fun competing with other hitters in camp. The Battery Camp begins on Monday, December 3 and will offer 6 sessions for pitchers and catchers to gain a defensive foundation, implement an arm care and throwing routine for proper on-ramping, and provide a weekly program for pitchers.